HP Sprocket Compact Photo Printer Now In PH For PHP 7290! Home / accessories / hp / news / HP Sprocket Compact Photo Printer Now In PH For PHP 7290! HP has just made their newest printer official in the Philippines, the Sprocket compact photo printer w/ ink catridge-less thermal printing technology. Designed for creativity on the go, the HP Sprocket printer is one of the most lightweight and versatile portable printer in the market. It uses thermal printing w/ borderless printing technology for ink catridge-less printing. All you need to do is connect the printer to any smartphone via Bluetooth and have your picture printed via HP Sprocket app and editor. Also use the HP ZINK 2 x 3 inch Photo Paper with a peel-and-stick backing. It's a water and tear-resistant, bright, and smudge-proof type of photo paper to ensure your prinouts will last. 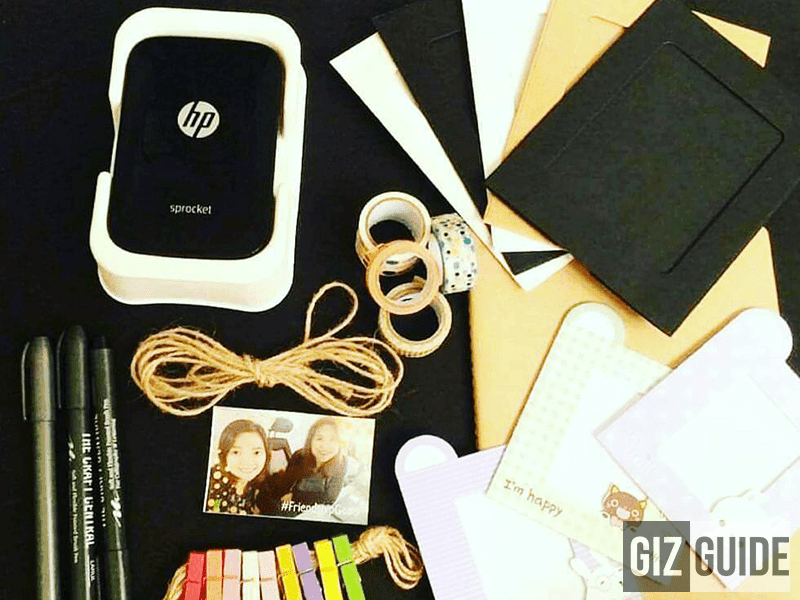 The HP Sprocket compact photo printer in either black or white is now available at Lazada Philippines for PHP 7,920!